​with the mission to strengthen public health by developing initiatives that educate and empower the community in specific areas of health. Annie was a Board Member of Fundación Bechara for many years. She was the definition of Bravery. As a patient with Rheumatoid Arthritis, she battled every day with a positive attitude and a smile on her face. ​where 100% of the funds donated will go to support RA research. Our first initiative, The Quico Bechara Project, intends to raise awareness about the importance of Public Access Defibrillation programs (PAD), as well as help educate, equip, and empower our communities with AED equipment and its proper use. 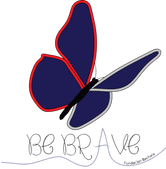 Our second initiative, Be Brave, focuses on raising awareness and educating the community on autoimmune diseases. We support physician's continuing education and biomedical research studies in an effort to advance medical discoveries that will unravel trigger causes, innovative treatments, and possible cures for these chronic conditions. ​After the devastation caused by Hurricane Maria in Puerto Rico, we launched a relief campaign that focused on establishing collaborative efforts with organizations and hospitals in the mainland and Puerto Rico to provide recovery aid to support hospitals, clinics, and non-profit organizations throughout Puerto Rico whose services were compromised by the effects of hurricane damages. Our efforts were aimed to benefit and strengthen public health programs in our communities. Click on the logos to find out more about our initiatives!